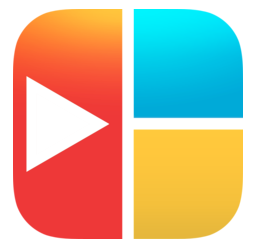 PhotoVideoCollage Pro is a photo and video collage creator. 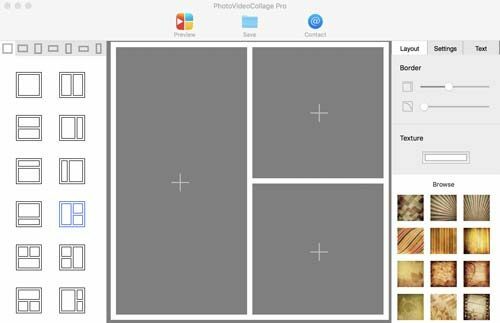 It comes with 70 layout templates and allows you to add photos, videos and music into your collage. 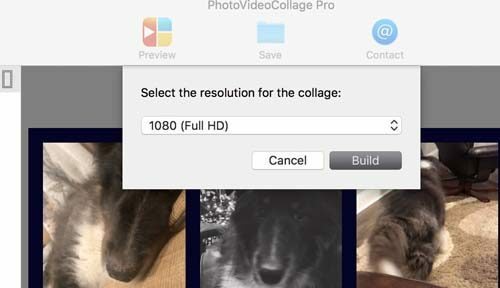 It supports up to 4K videos and lets you insert photos and videos directly from your photo library. 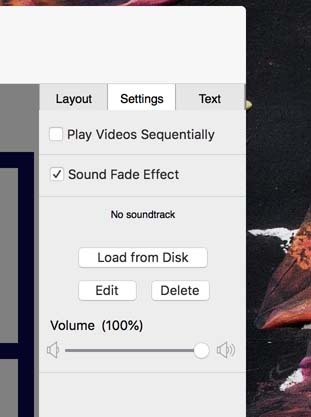 You can insert music from your iTunes library to play along with the collage. The borders can be different colors, patterns and thickness. You can also add text to the project. A free version is available, but IT includes a watermark and only 38 layout templates. Installation is easy as it is a Mac App Store app. 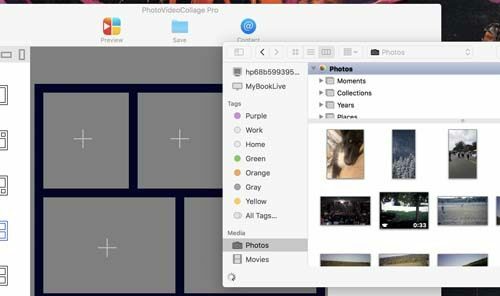 Once opened, PhotoVideoCollage Pro presents you with a very simple interface. The layout templates are on the left. 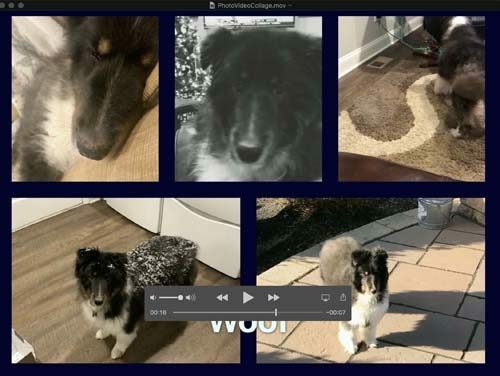 The photos and videos are inserted in the middle section. Border customization, music and text options are on the right side. On the top is a preview button that will let you preview the project before you save it and a save button where you save the project. There is also a contact button. When you save the product, you are presented with options on what type of project it is and the location where to save. If a movie is added to the project, it will save as a mp4 or avi file. If it’s only pictures that are in the project, it will prompt to save as an image format such as jpg. I created both a movie project and picture project in a matter of minutes. The interface is very simple and I had no trouble navigating around. The app didn’t crash, was smooth and saved the projects perfectly. If you are looking for a simple app that will create photo and video collages, this will work well. There is also a companion iOS app, however I did not include it for this review. MyMac Review 9 out of 10. Does exactly what it’s advertised to do. Interface is very clean and easy to navigate. Projects look great and the price is reasonable.